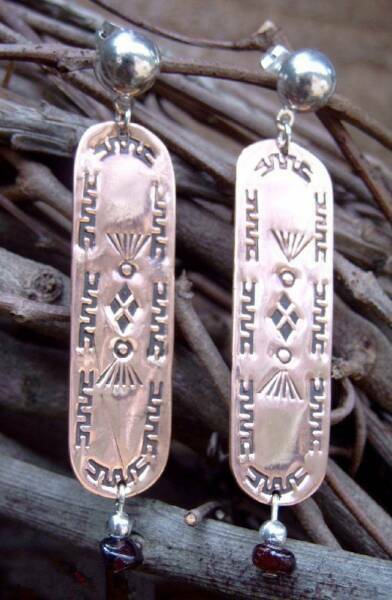 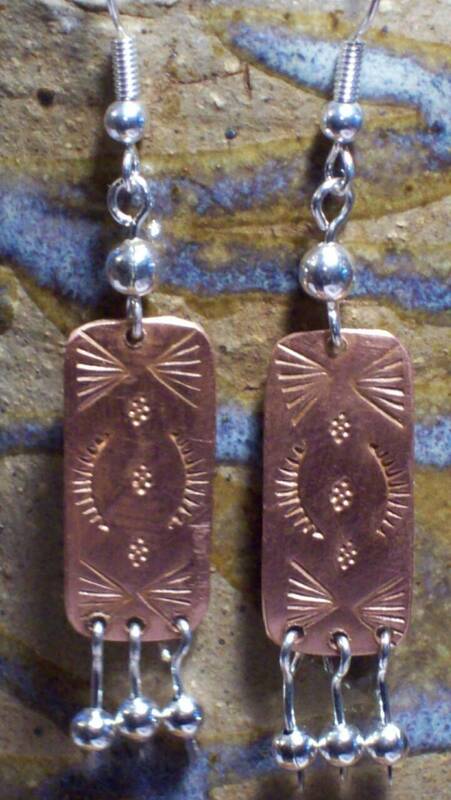 Handhammered and stamped the old way, these are great copper dangles. 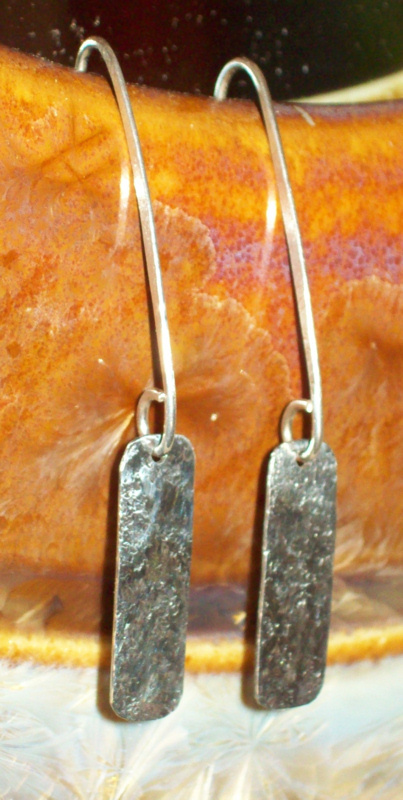 Stamped sterling silver dangles with silver posts. 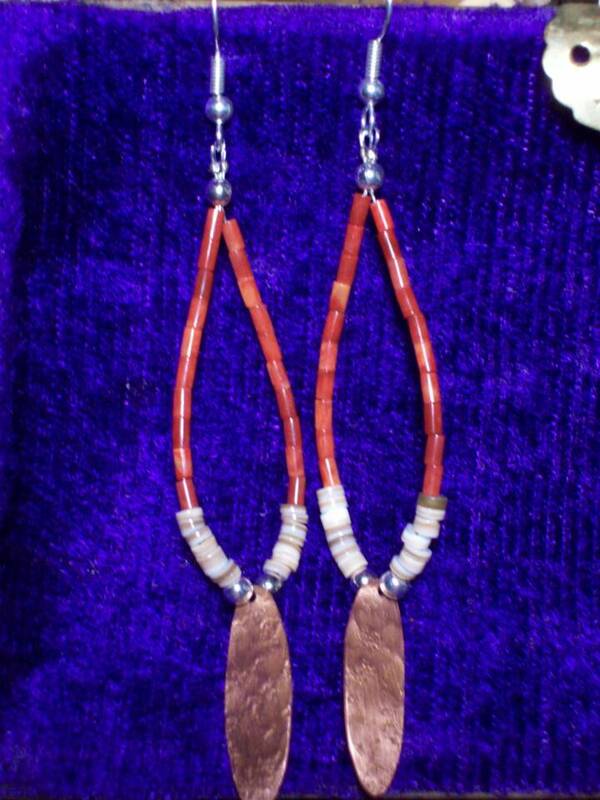 These go great with the feather necklace. 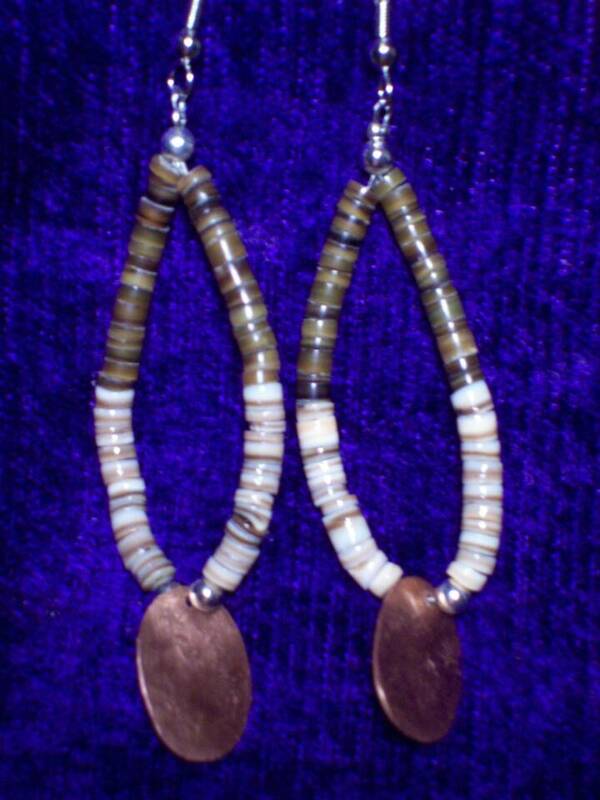 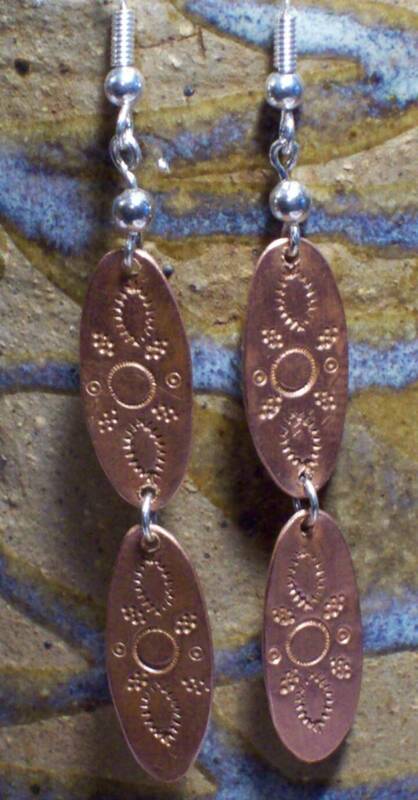 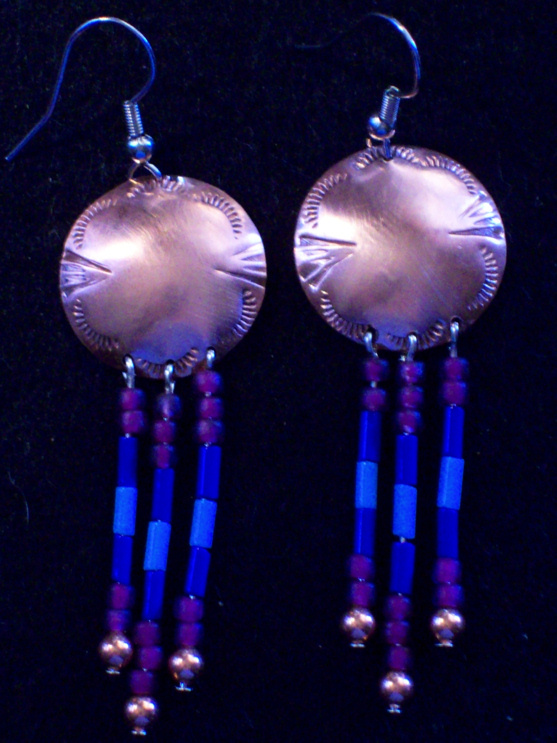 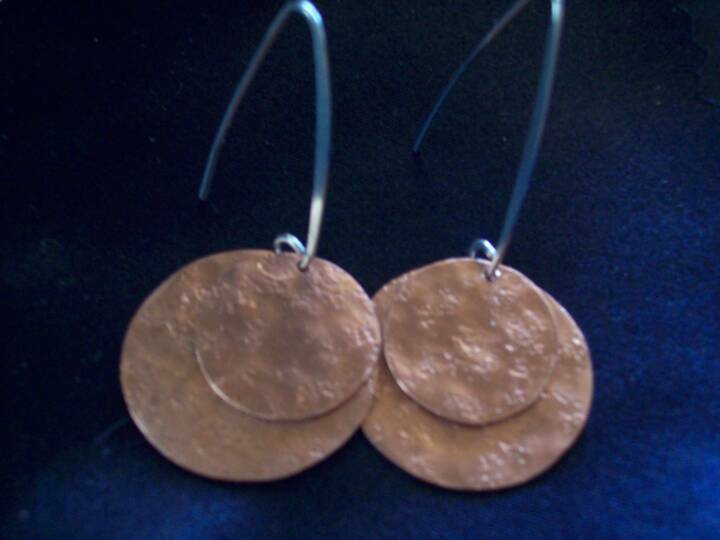 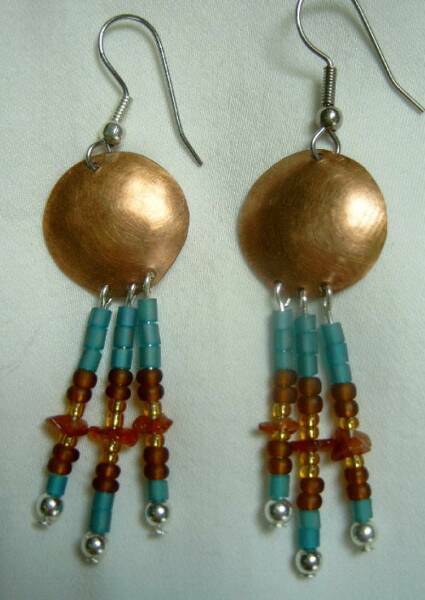 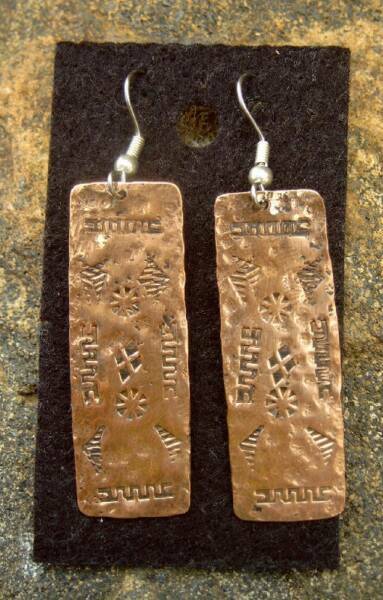 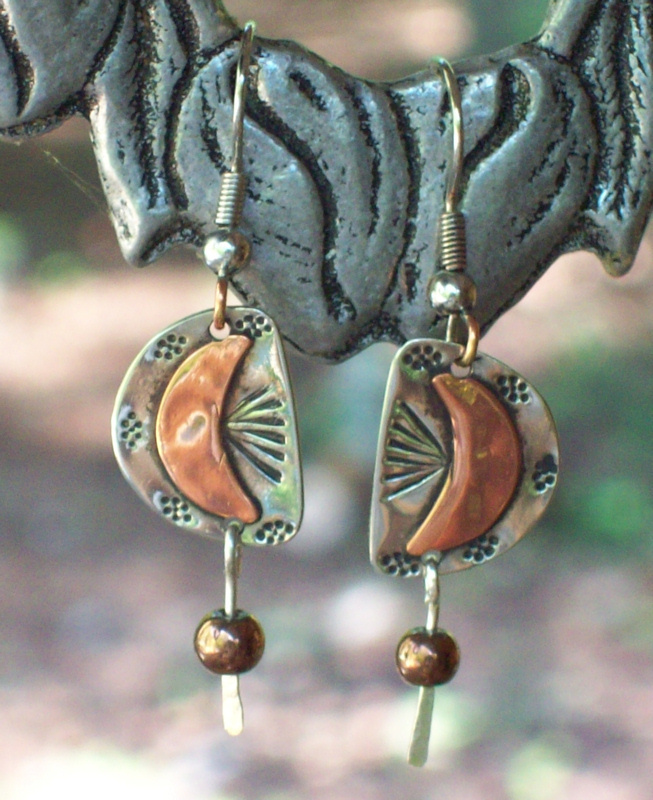 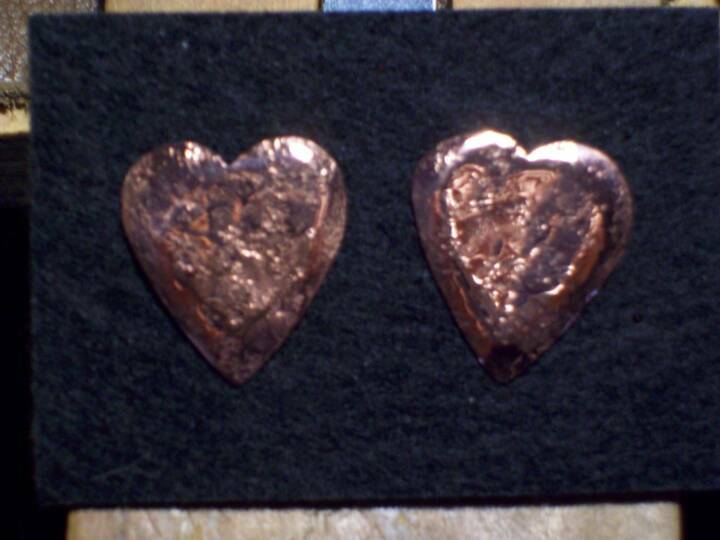 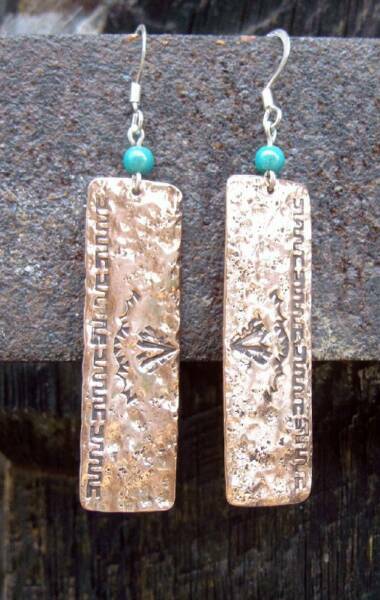 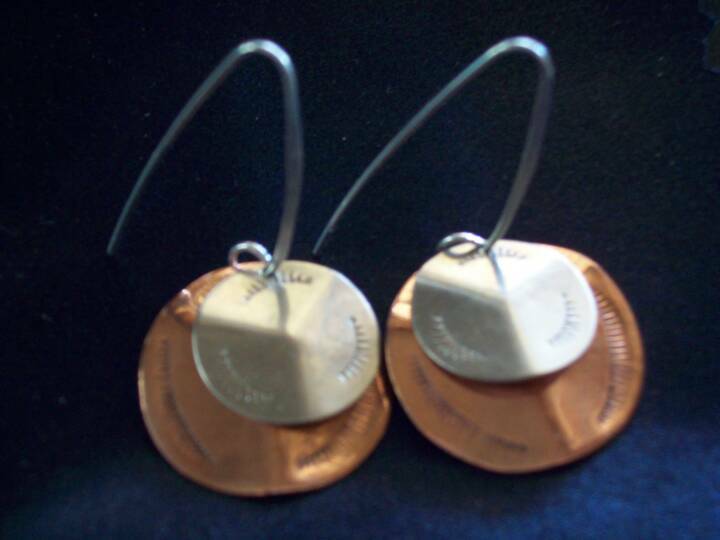 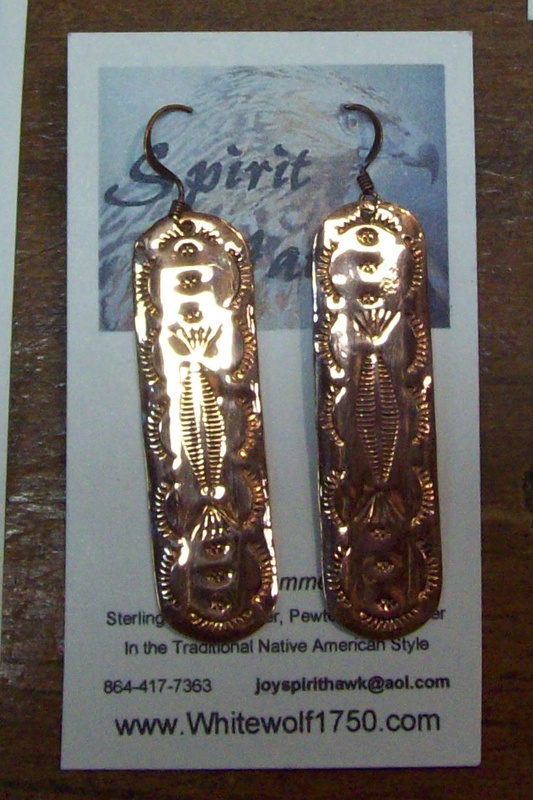 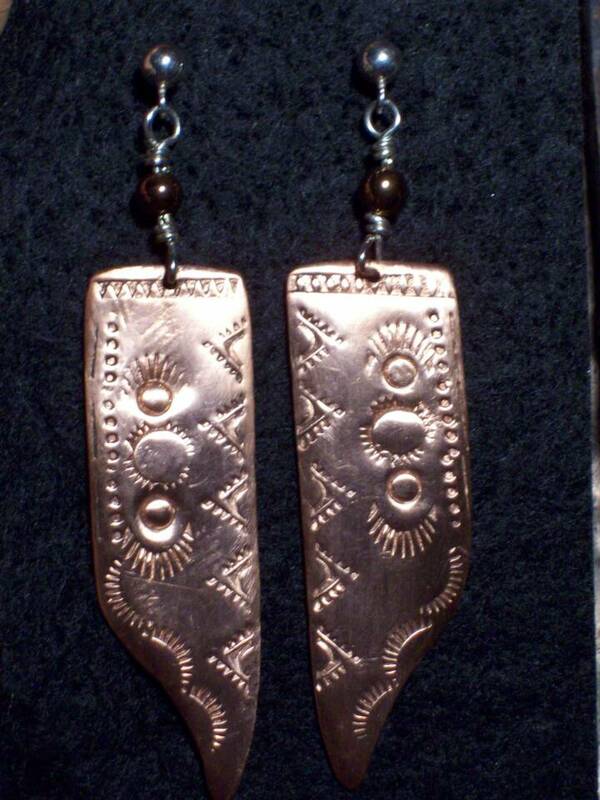 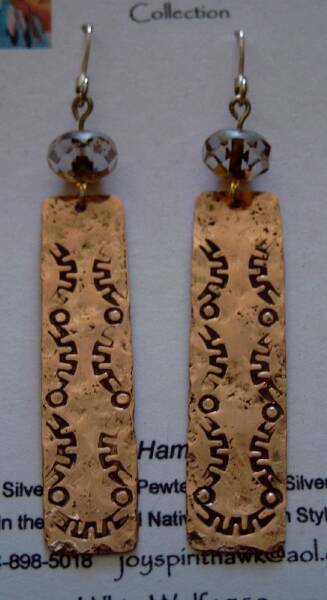 These copper earrings are hammered stamped and beaded. 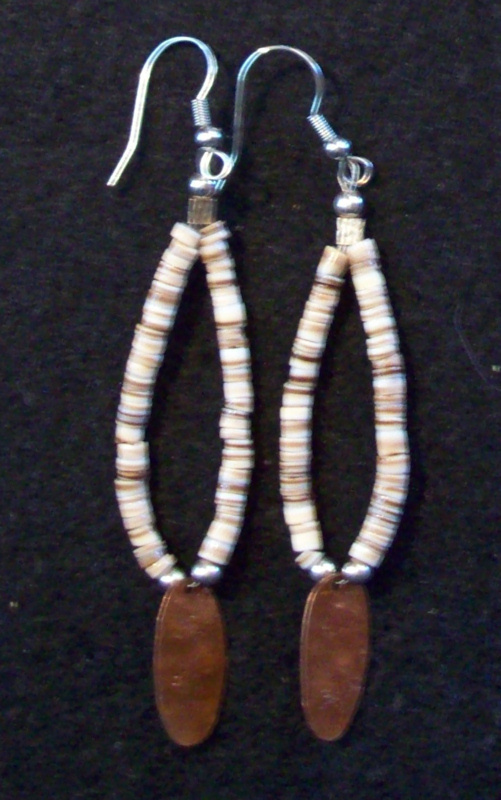 I can make these for you for $15.00 each. 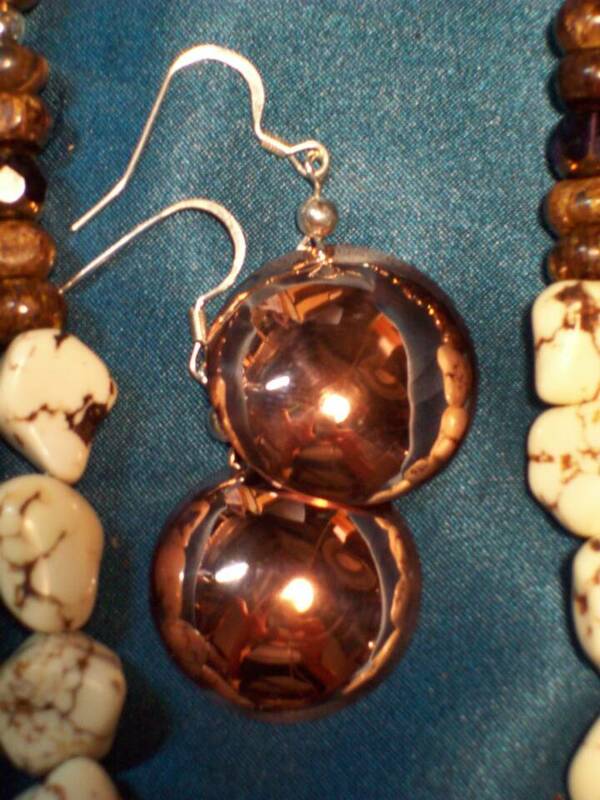 These are my second favorite earrings in my jewelry box. 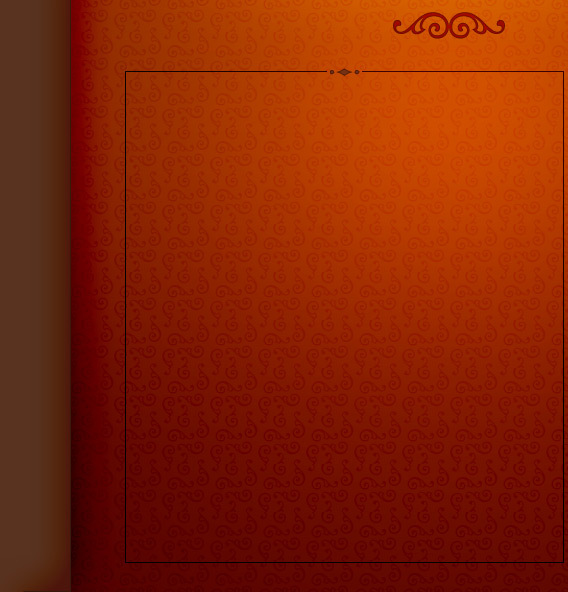 So I am offering my style to you. 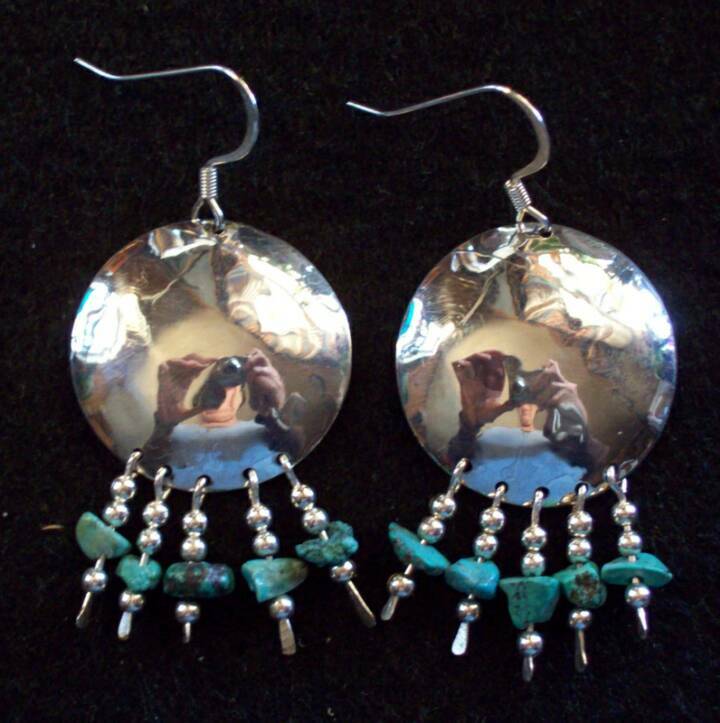 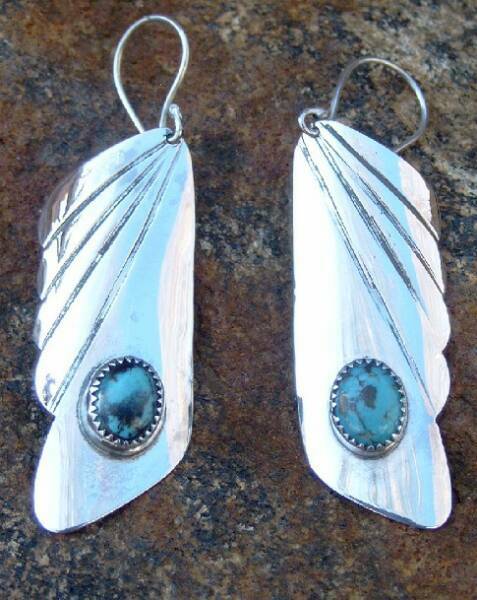 In sterling silver with a turquoise stone. 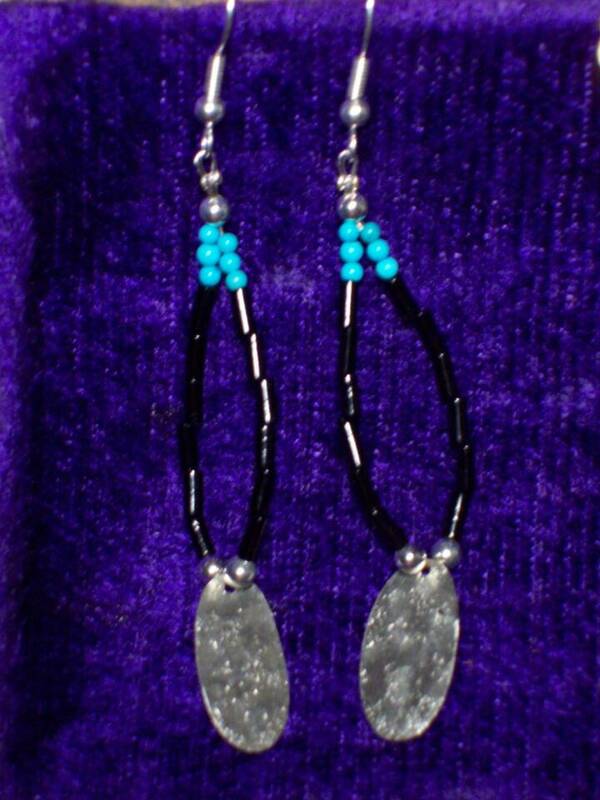 They look great on. 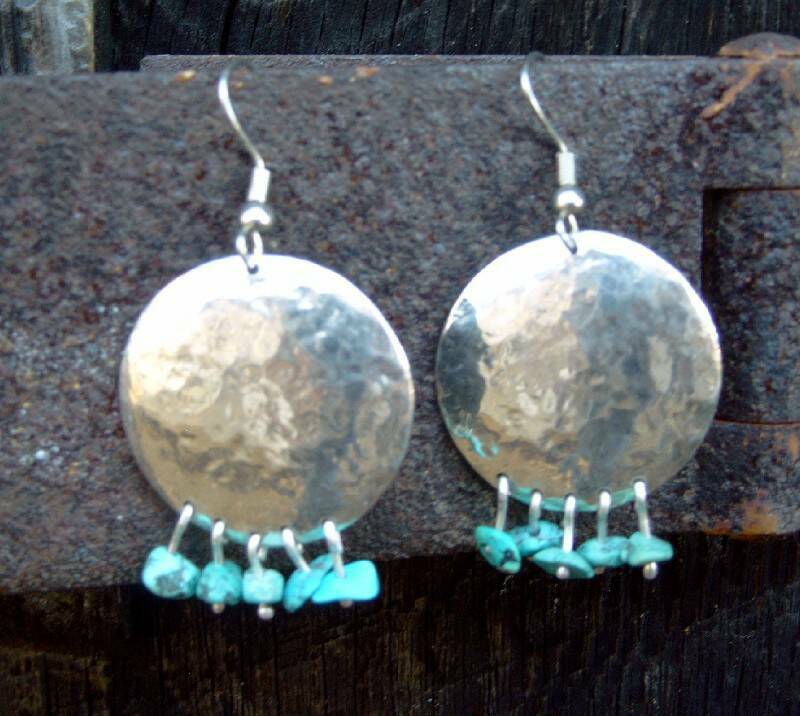 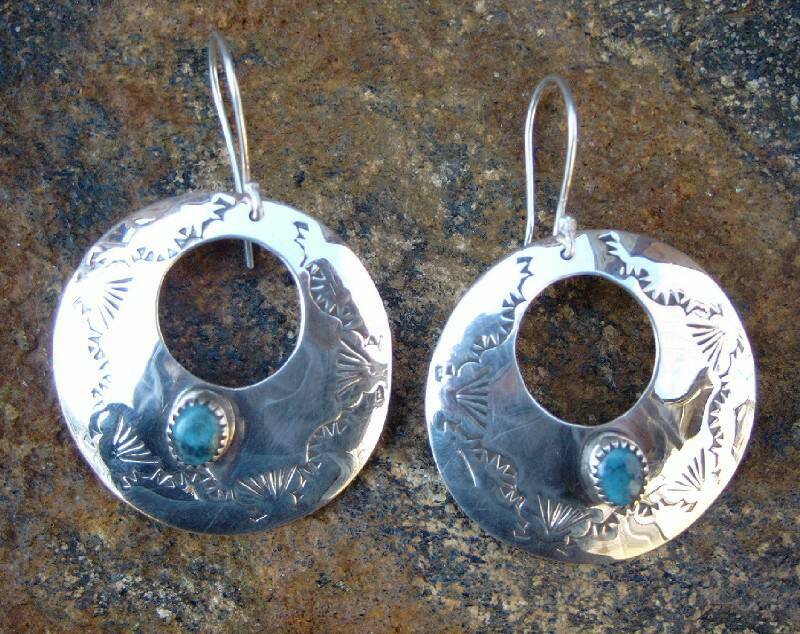 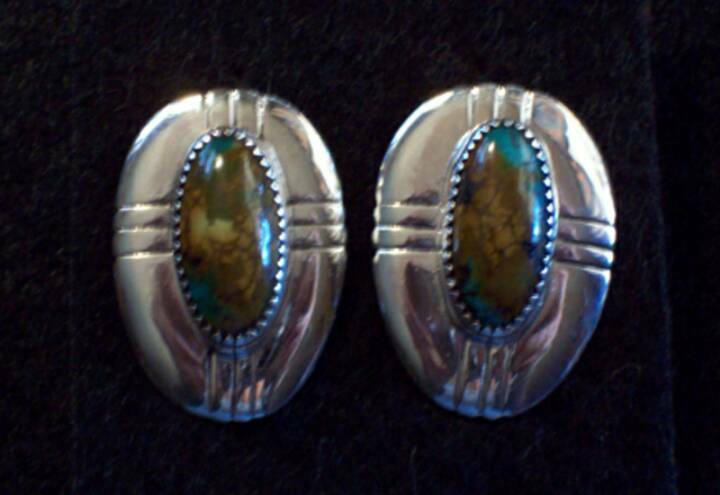 Post Sterling Silver with great turquoise stones. 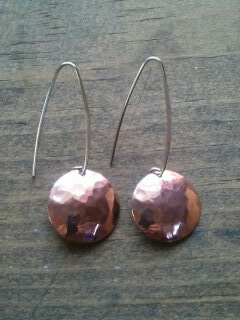 These turned out nice. 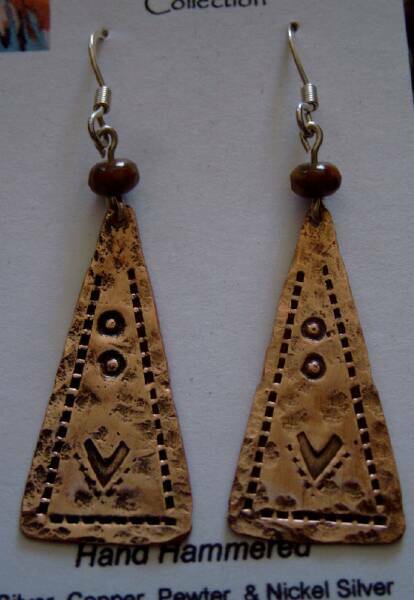 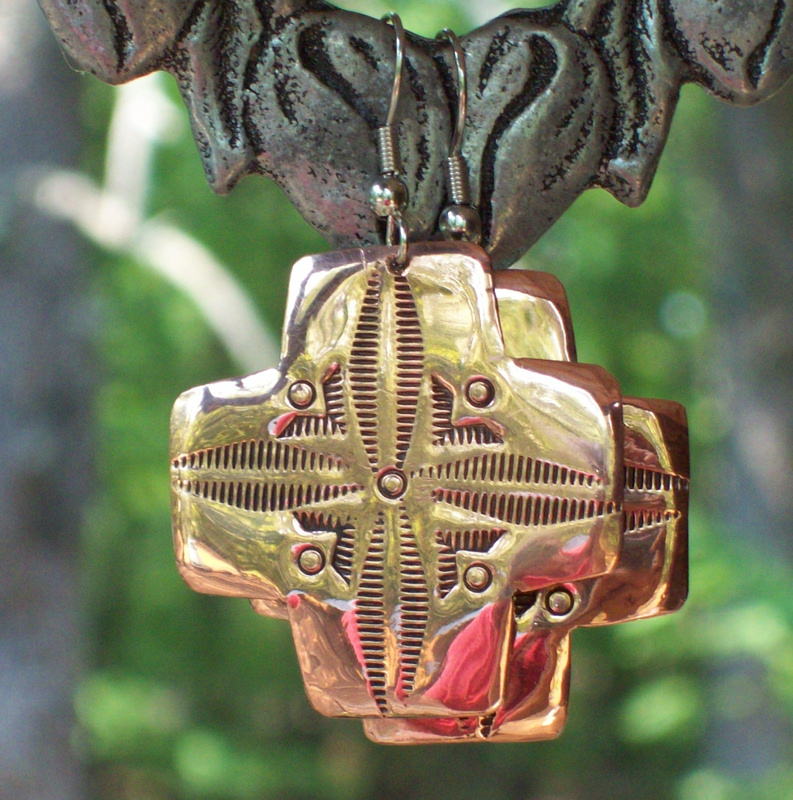 Hand hammered copper with great eye catching shapes. 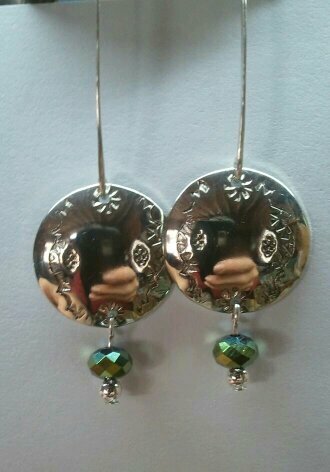 My newest style is a joy to wear. 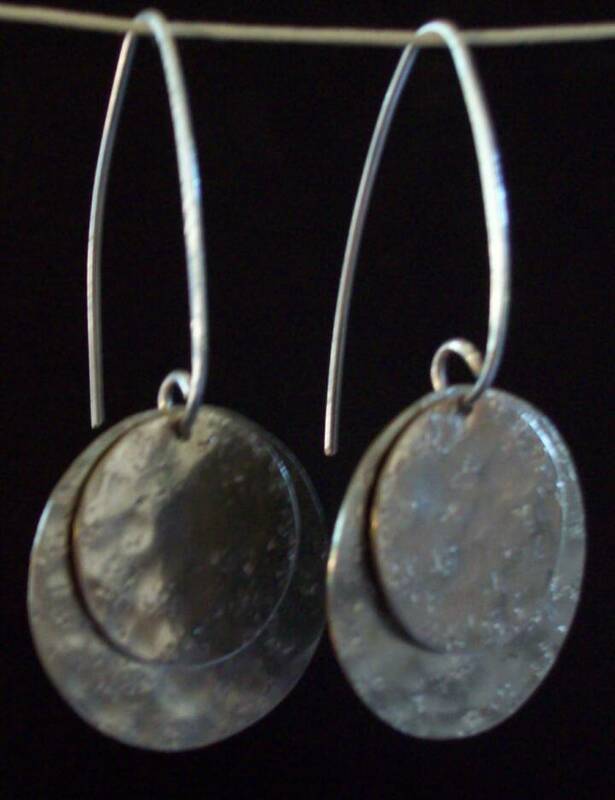 The long hoops feel so good, and are made of sterling silver. 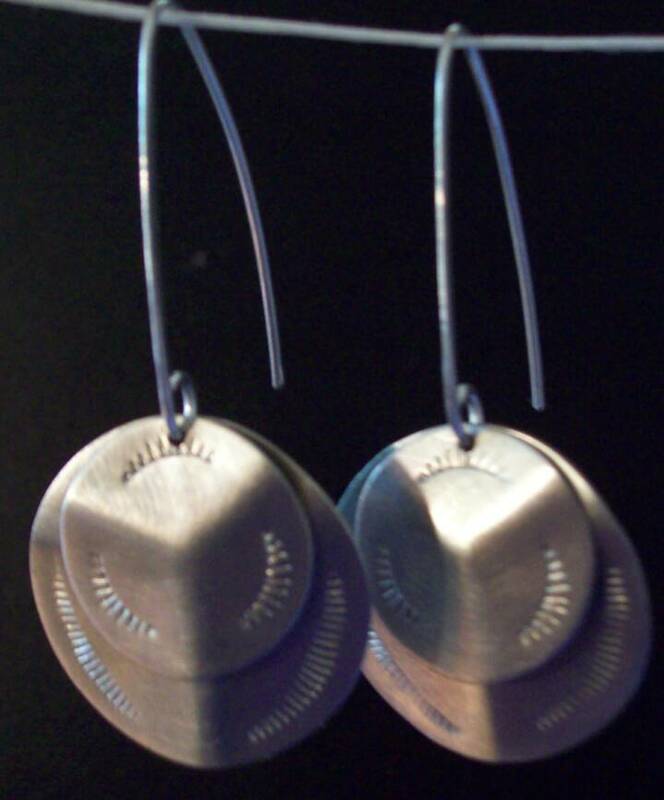 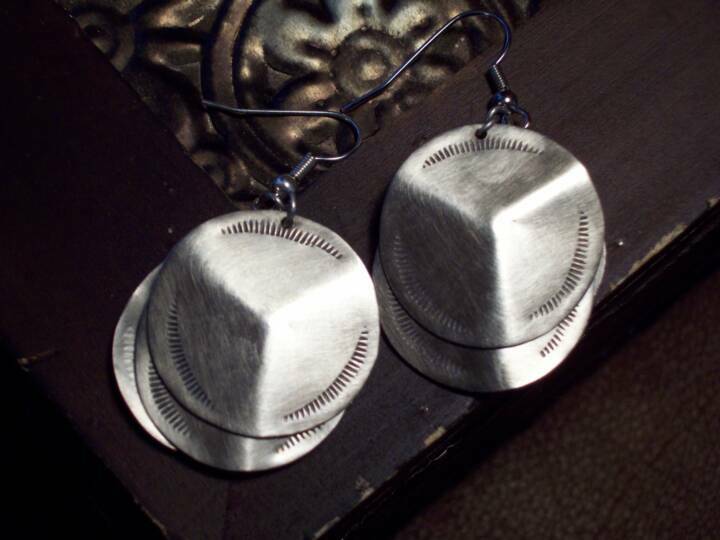 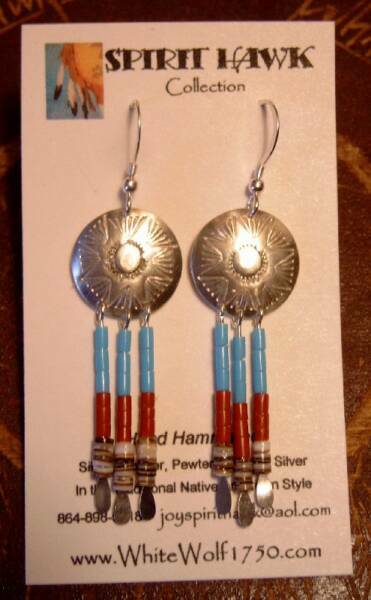 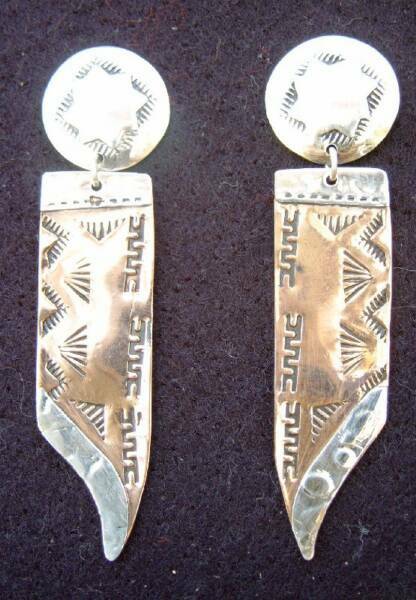 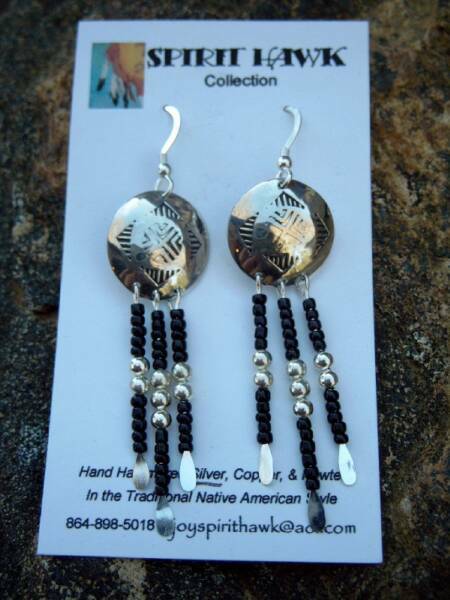 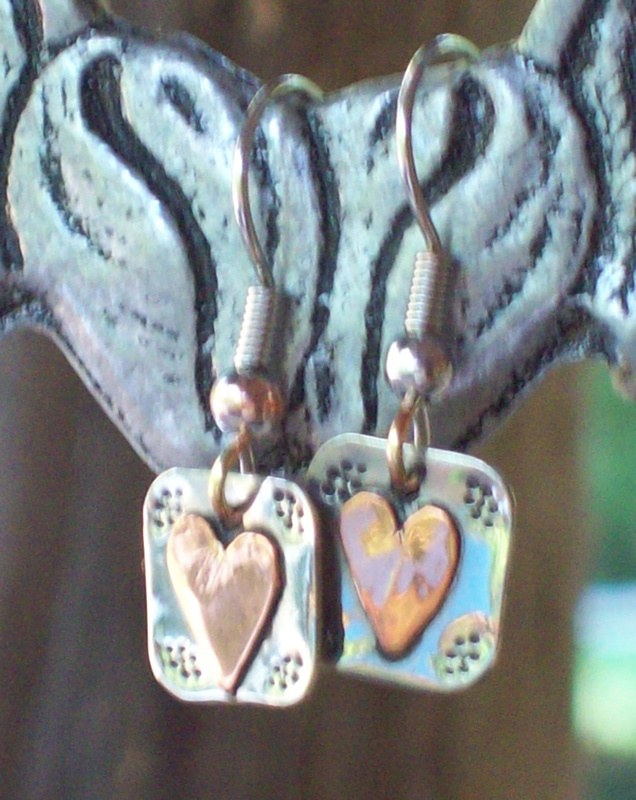 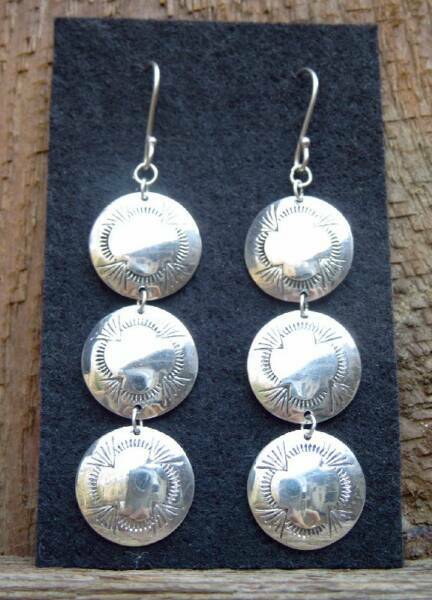 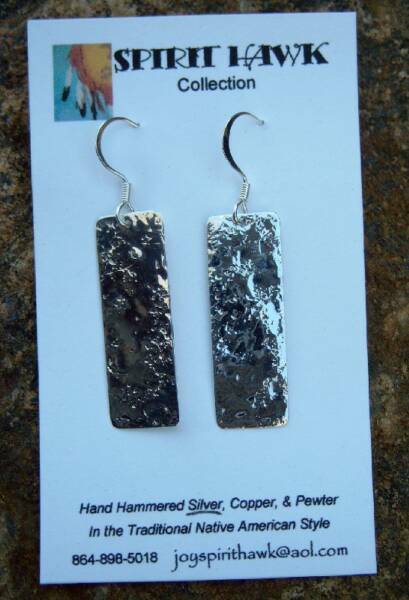 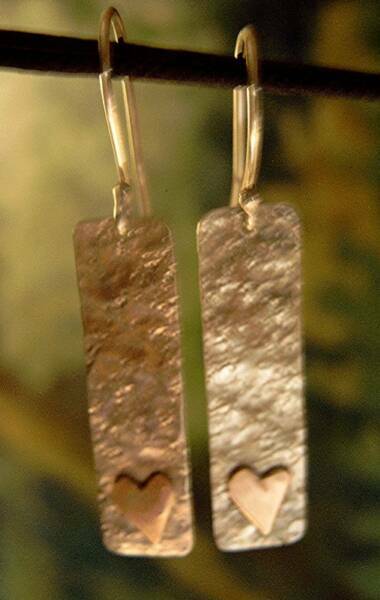 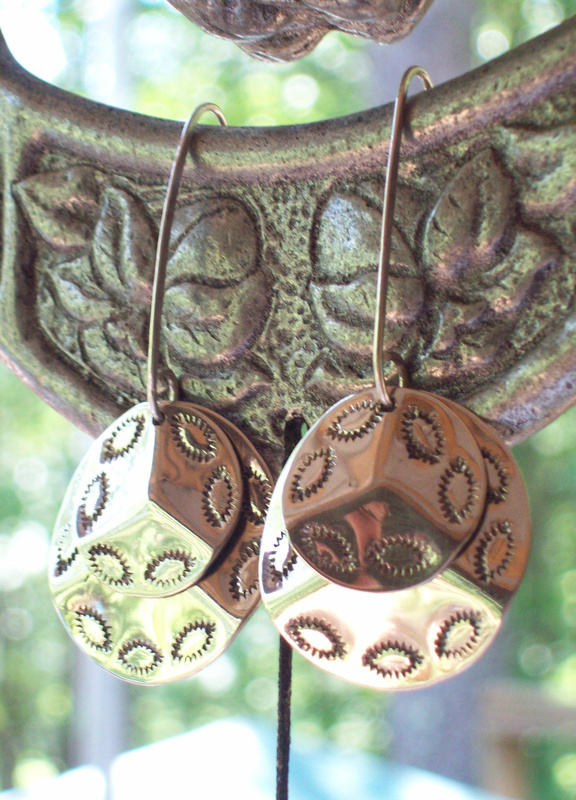 The body of these 4 earrings are trade silver, cut out, hammered, and stamped just for you. 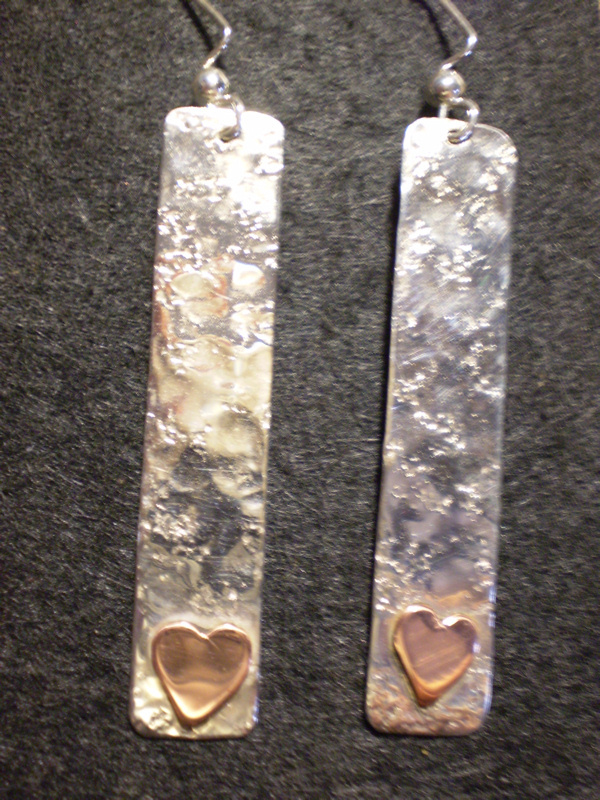 All of my pieces start with a flat sheet of sterling silver, trade silver, or copper. 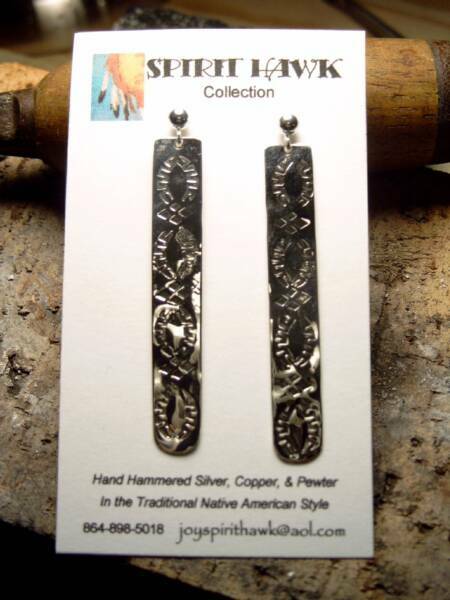 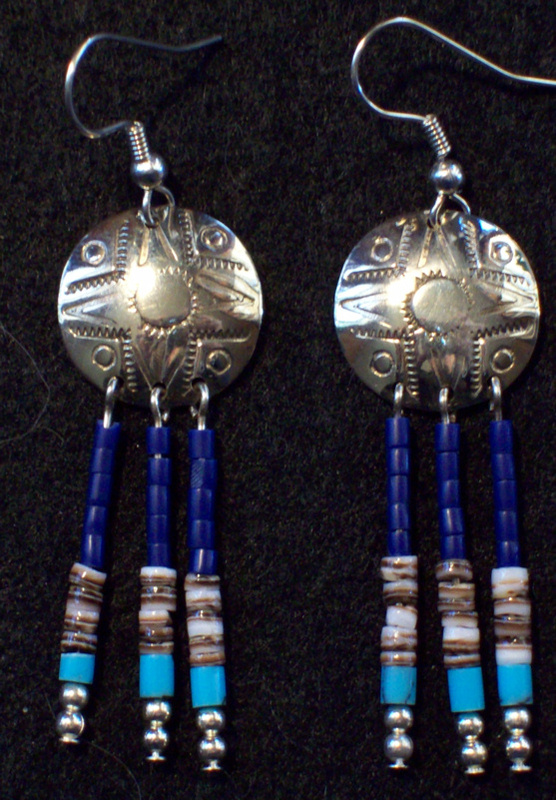 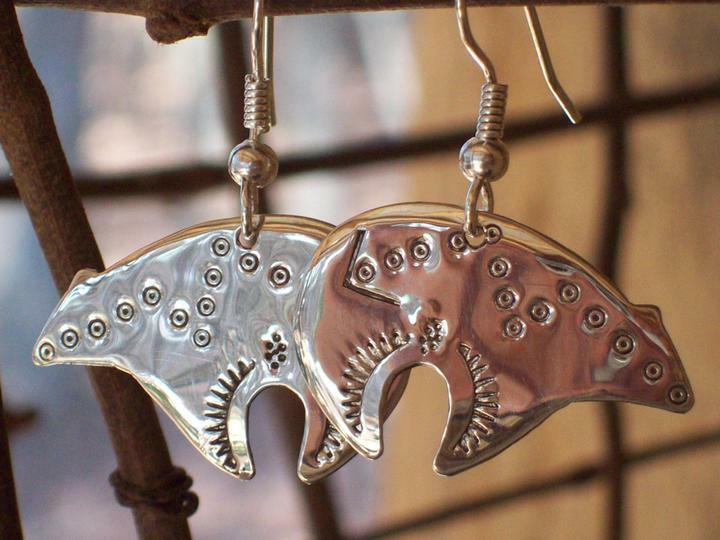 I design the pieces, hand cut, file, stamp, & polish each piece by hand, all made the old Indian way. 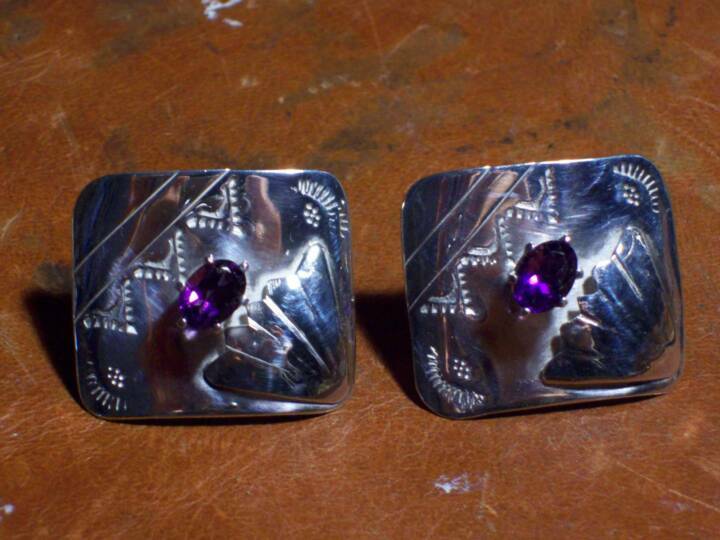 Stamped Sterling Silver with raised set, cut stones & silver leaf. 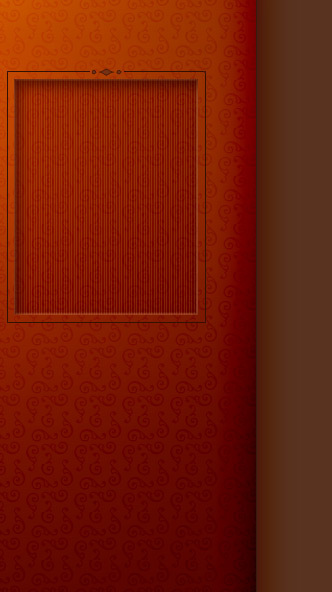 These have posts. 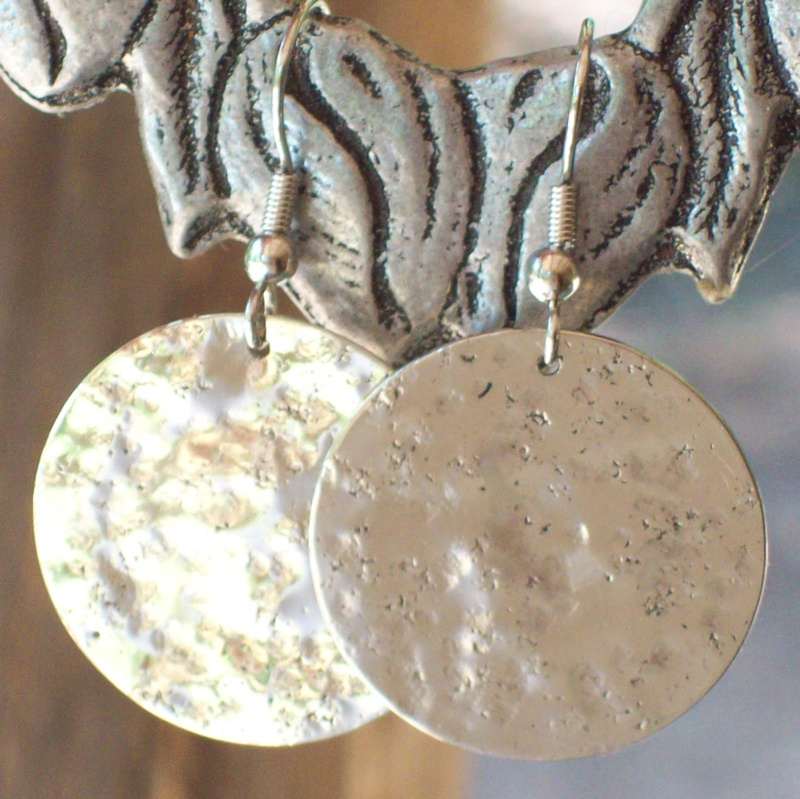 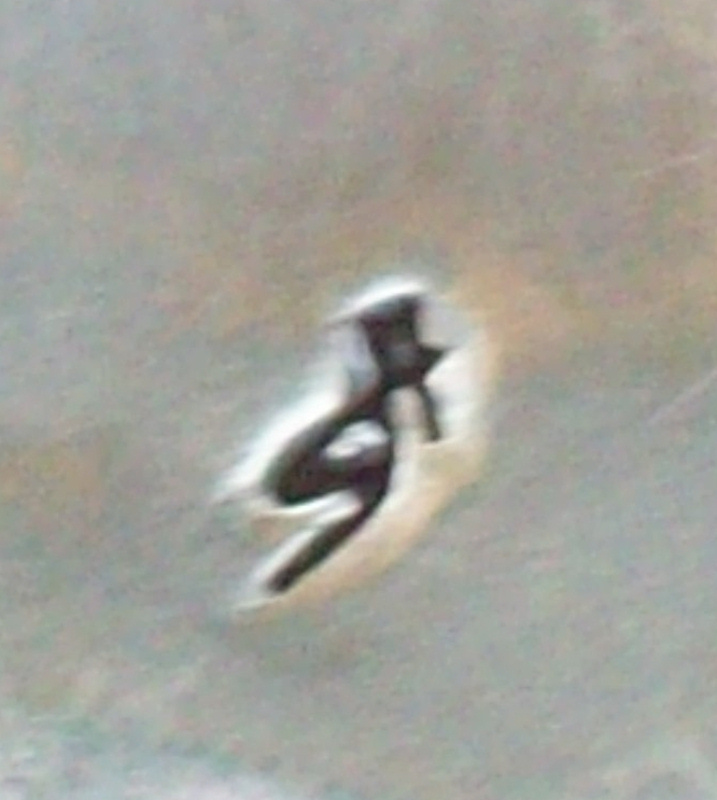 Flat rounds of trade silver.